When I travel around Chicago I see a lot of storefront churches that claim to be apostolic or they are even pastored by Apostle such-and-such. It seems like a grand title, and it also seems charismatic. When I see the world ‘apostle’, it connects in my mind with anointing and gifts of the Holy Spirit. Despite the lowly status of ‘slave’ or ‘servant’, Paul also owns the lofty title of ‘apostle.’ He is not an apostle because of his own authority, but Jesus exercises his authority in calling Paul. Mathew 10 shows us clearly how apostles are made. Jesus confers upon the disciples his authority and designates them as apostles. As apostles, these 12 men are to go into the world as Jesus’ representatives and make a difference. An apostle is one who is sent. They are also a representative of the one who sends them. So how is Paul and apostle if Jesus commissioned and sent his 12? Paul was commissioned by Jesus, too. After bursting into Paul’s life on the road to Damascus, Jesus met with Paul in the wilderness (Galatians 1:17) and commissioned him for service. Paul, then ends up sharing the qualifications of the original apostles. They were all instructed by Jesus, given authority directly by him, and they went into all the world to communicate the good news. Paul knows that he is not called an apostle because of his own worth. It is by grace that he is given such a high status by the one whom he persecuted. Although we are not apostles in the original sense of being taught directly by Jesus and commissioned by him, we are apostles in a lesser sense. We have been taught the words of Jesus as his apostles have taught us in scripture. We know the good news of Jesus and how life with him transforms the soul and transforms the world. We have been commissioned to go into all the world and make disciples. So, we too, should have a spirit of evangelism that burns in us. We should see ourselves as missionaries. The idea of missionaries has been somewhat hijacked by the professional missionary of the 17th-20th centuries. We have all listened to exotic stories of adventure from foreign lands. I know because I was enthralled by those stories and set sail from England many years ago. However, as one who now lives far from the country that I call home, I have seen the weakness of our exotic definition. Just like we define a minister as the one in the church that we pay, so we define a missionary as the one in the church who raises support or who lives in the 10-40 window. We are all called to be ministers and we are all called to live missionally. So is Paul talking of himself in this passage just like any one of us could? No, not really. He is claiming a position among the first apostles with their elevated status. This will lend his letter more authority and credibility for the task that he is about to perform. The most direct application is not that we should be missionaries too, like Paul. The most direct application is that we should pay close attention to what Jesus communicates through his servant apostle Paul. Although it is all well and good to read books by Christian writers, like the newly published 20 Things We’d Tell Our Twentysomething Selves, Peter and Kelli Worrall (the authors) lack the authority and credibility of Paul. Reading the letters of Paul, even before the New Testament became what it is, were more authoritative than reading the works of Julius Caesar or Aristotle. What is the second thing that Paul claims to be? What does apostle mean ( maybe look it up?)? 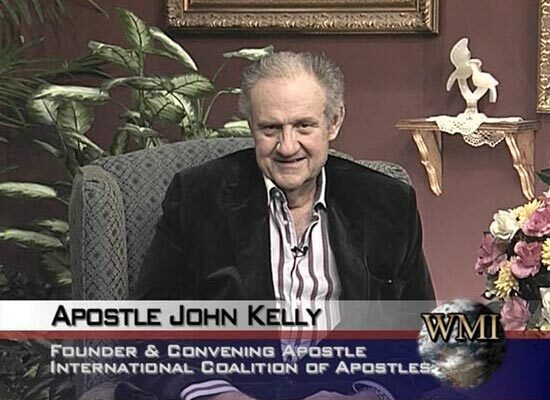 In what ways is Jesus as apostle different from Paul the apostle, different from John Kelly (see above) the apostle? How should we redefine ourselves as an apostle? How should Paul’s status as apostle change how people read the Book of Romans? We are to read Romans knowing that the author is a man of authority. This authority was given him directly from God. Romans is also written by a man who had an incredible 180 degree conversion as an adult. He himself had persecuted the church. The fact that Paul is now preaching the gospel of Christ is a testimony to the power and authority of God. I think that it is interesting you note the fact that Romans is more authoritative than any of Aristotle’s or Julius Caesar’s works. Many people and maybe even some Christians don’t hold to this truth today. I hadn’t thought about the way that Paul explains that he is a slave and then immediately explains that he is also an apostle. He had authority from Christ Himself, thus Romans carries with it the full weight of Christ’s authority. Paul is clearly giving the credit to Christ, but explaining that his position under Christ is one of authority over the church. I read my course syllabi very carefully because the professors who wrote them have the authority over my grades. I read government documents very carefully because I know that I am under authority and need to comply with what is said. I realize that I need to read Romans with an even greater carefulness because of the authority with which it was written. An Apostle is someone who has personally seen and/or been with Jesus Christ. That what he is saying has authority and is of God. I know this wasn’t the main point of this blog post, but I liked what you wrote about all of us being called to be ministers and all of us being called to live missionally. Graduation is less than a year away, bringing many decisions with it. It is encouraging to think about living missionally, even if I am not in a traditional vocational ministry role. In the literal, church government, use of the term apostle, no one today is an apostle. They were the ones to whom Jesus specifically called and physically met with to appoint to be the heads of the church and establish it’s foundations. Today, however, I believe we are called to be like the original apostles. They were, as you said, completely missions minded. Their call was not so much different from ours. The Lord revealed to them His word to write it down for us, and we now have those words to be lived out in our 21st century lives. Our call is to daily be ministers of the gospel proclaiming in word and deed the truth of Jesus Christ. By viewing Paul as an apostle, it emphasizes the importance of the message. Because Paul saw the resurrected Christ and has a message directly from him, we should heed the importance of his words and message. 1. Paul claims to be called by Christ to be an apostle. 2. It means one who is sent or a commissioned messenger. Specifically to the Bible it means one who was specifically commissioned by Jesus for the task. 3. Jesus is God’s apostle because He is the One God sent. Jesus was the one chosen to go to humanity and declare the good news, sacrificing Himself for them and rising again so as to bring life to those who would believe. Jesus’ apostles were those sent out by Him after spending intimate time growing with Him. They would be able to minister to people in amazing ways but unlike Jesus they were not representatives of Christ rather than Christ being a representative of Himself as the God-Man. Someone like John Kelly is not an apostle; he is a minister of Christ. He was not specifically taught or commissioned by Christ. 4. I do not think we are apostles but we are sent and as such we need to be making sure that we are being filled with the knowledge of God, encountering Him in deeper ways, and actually going. 5. Those words are the inspired words of God written with authority by His chosen apostle through the guidance of the Holy Spirit. 1. Paul claims to be a servant of Christ Jesus, called to be an apostle, set apart for the gospel of God. 2. An apostle can be defined as the first successful Christian missionary in a country or to a people. 4. To refine ourselves as apostles of Jesus Christ, we need to seek to do the Father’s will at all times. 5. When people see Paul as an apostle of Jesus Christ, we can take his words more seriously and see that he was specifically chosen by God. I often forget about Paul’s status of apostleship and how it parallels with that of the 12 original apostles. I think it is interesting that although we are not apostles in the sense that Paul was, we too have an important task ahead of us. No matter who we are, or whether we feel called to stay local or go overseas, the Lord has called us to proclaim His message of truth. 3. Jesus was a messenger of God, because he was God incarnate. Paul was an apostle, because he was specifically commissioned by Jesus as a messenger of the gospel to the Gentiles. John Kelly is an apostle in the sense that any Christian is, because we are all commissioned in the great commission to spread the gospel. 4. We are apostles in the sense that we are messengers of the gospel. 5. Paul’s authority as an apostle comes from the authority of God speaking through him as a messenger. So when one reads Romans he or she is reading the word of God. I so agree with this statement here. Many times, I tend to think that I get this job or title because I have the skills or brain to do so. However, I find this very contracting within myself. I realized this as I was working for the Missions Conference this past week. Although it was all laborious and time-consuming job, I did not focus on glorifying God but rather on celebrating after everything was done. I was probably even thinking of praising myself for everything that I’ve done. It is embarrassing to share this on public. However, I felt the need to share this here with my classmates and my professor Worrall. I can do this only because I believe in the fact that God forgives me and never condemns me. God left me alone to realize this truth. My life is not about me, but it is for God, by God, and from God. The second thing that Paul is claiming to be in Roman 1 is an apostle of Jesus. An apostle is someone who bring the gospel to others through the power of the Holy Spirit. It means one who is sent out or commissioned. Paul received teaching and authority from Jesus directly, while Christians today receive authority and teaching from Scripture. We should remember that we are commissioned by Jesus through the Scriptures and should live missional lives. Because of Paul’s apostleship, we should view Romans as having authority. Paul’s status as an apostle should change the way that people read the Book of Romans because it gives the writing credibility and authority for the task that it was written to accomplish. Paul’s words could be trusted because he was an apostle sent directly by God.